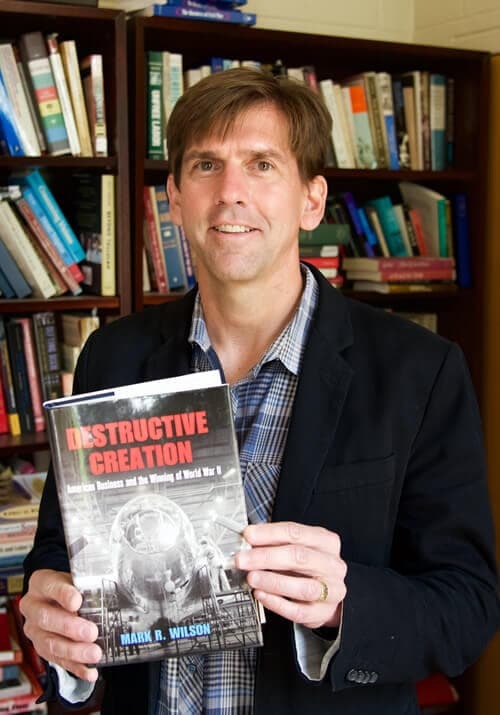 Wilson has won two top international prizes from the Business History Conference for his book “Destructive Creation: American Business and the Winning of World War II,” including the Hagley Prize for the best book in business history in the previous year. Wilson also was co-recipient of the Gomory Prize, which was the first time a scholar won the organization’s two major book awards. “Destructive Creation: American Business and the Winning of World War II” takes a fresh look at how the United States transformed its massive economic capacities into military might, which proved critical to winning the war against the Axis powers. “I hope that my book helps students, scholars and general readers to better understand the history of World War II and its relationship to longer-run economic and political developments,” Wilson said.